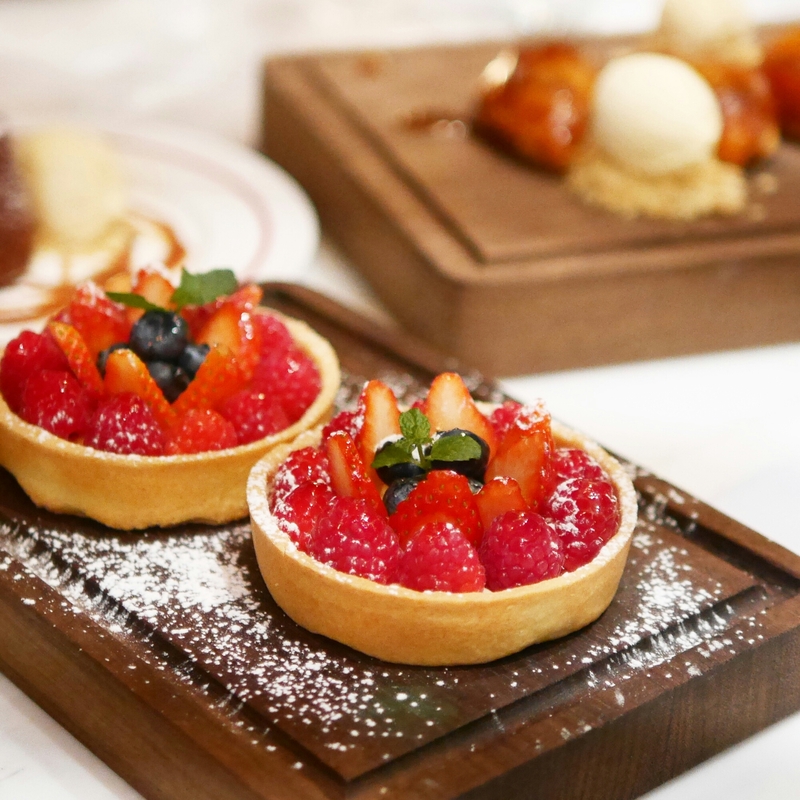 Swire has opened a second Plat du Jour in Pacific Place (replacing the Spanish restaurant Zelos) and this casual French bistro is exactly what this upscale mall is missing: simple and affordable food made with good quality ingredients. It’s no wonder it’s already quickly become popular – I tried making a booking twice but they were full! To be fair, I attempted the reservation on the same day. I enjoyed their first branch in Quarry Bay very much, but the new one is much more location-friendly. Maybe that, along with the fact that they serve Afternoon Tea here, are the reasons I enjoyed it even more this time. They offer the same lunch and dinner set menu for only HK$235/275 for two/three courses. It’s a price that’s hard to beat especially if you’re here for dinner. For starters, the lobster bisque is the biggest must; it’s one of their signatures that has been unforgettable since I tried it at their first Quarry Bay branch close to a year ago. 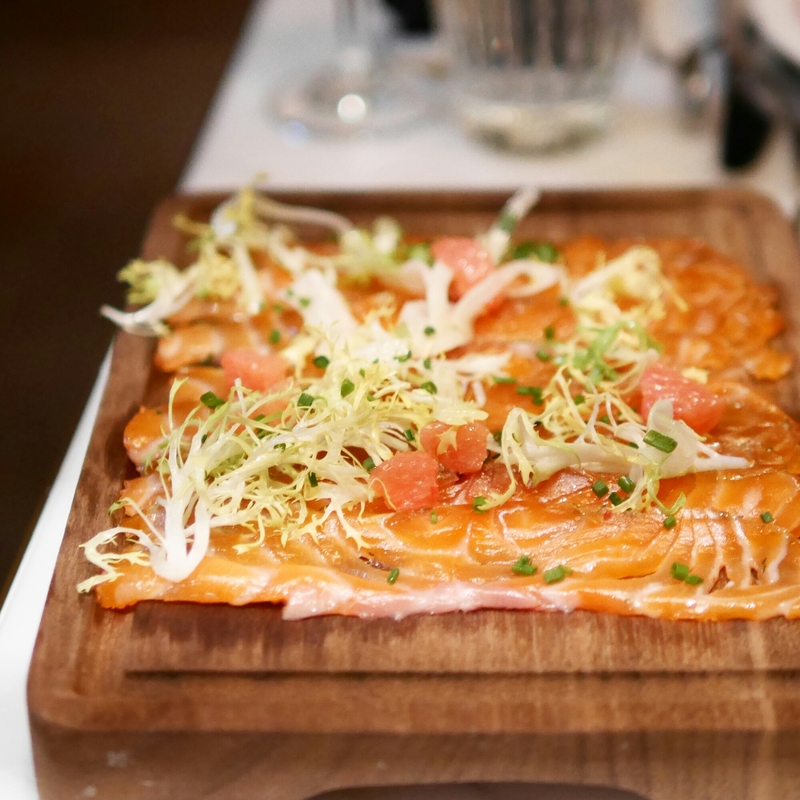 Their house tea-smoked salmon is also very aromatic and delicious. But the biggest surprise came from the ox tail scallops which I haven’t seen served elsewhere and it was made so well. 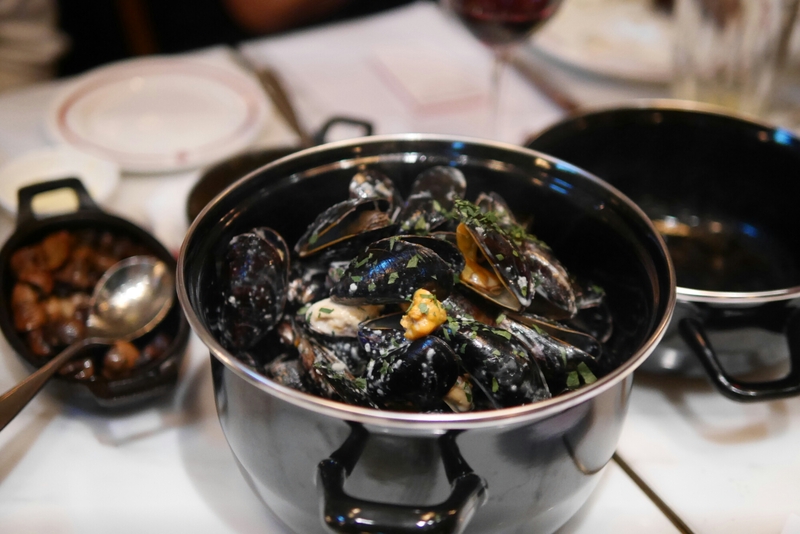 For mains, the moules frites (mussels and fries) is their signature, but honestly the ones I had at FRITES Belgium on Tap were much better. Instead, I’d recommend getting the pork chop here, which was pretty outstanding. And you’ll rarely hear me say this because pork will always certainly be my last resort. It was cooked in a sous vide which explains how it could be so tender. The desserts here are definitely worth stuffing yourselves over. I sampled a range of their desserts and I honestly find it the hardest to give a recommendation on this section of the menu. The apple tartin has a hot thin crispy pastry bottom and is topped with meaty chunks of apple, but thankfully it wasn’t too sweet. The fruit tart was a pretty perfect traditional one, again not too sweet either. The chocolate fondant was done well, crispy exterior and lava (not too lava) centre. But for something less typical, try the flambe. The flambe is filled with banana and ice cream, poured over with rum and put on flames – I had something similar at Swire’s Mr & Mr Fox and it was nothing short of EPIC. 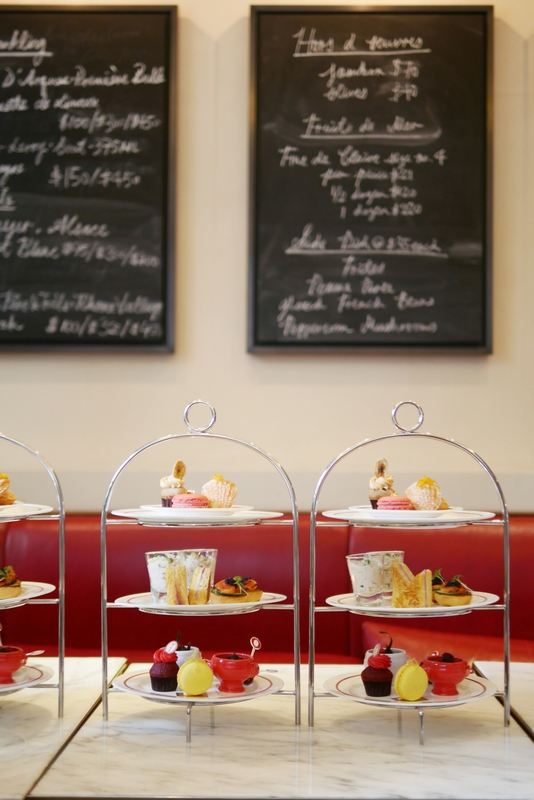 If you happen to be around Admiralty running errands or shopping, stopping by Plat du Jour for a cup of coffee or an afternoon tea is also quite a pleasant affair that won’t break the bank either. The afternoon tea set costs HK$225 for two people which is potentially half the price of some sets served at hotels. It’s served between 3:30pm and 5:30pm. The portions are not too heavy, so it’s perfect for a short snack or break. They also place emphasis on making good coffee – they’ve apparently got baristas trained in Italy and a fancy coffee machine too. 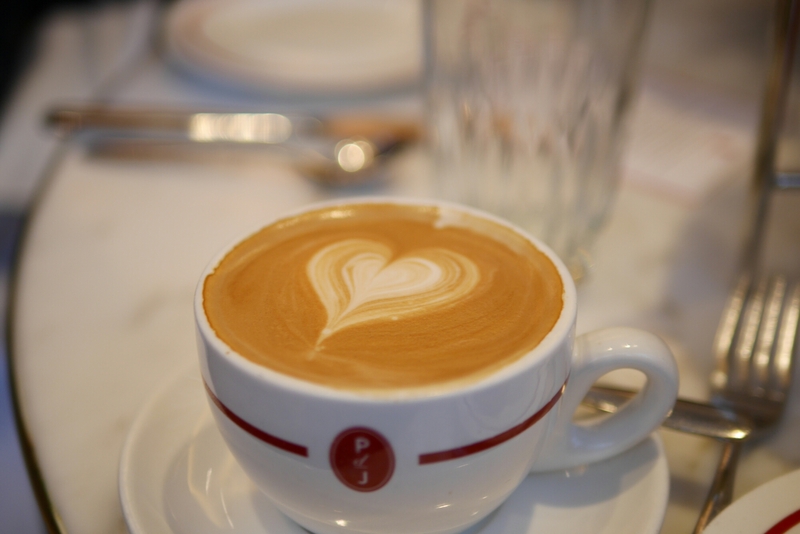 I still find the flat whites at most specialty coffee shops better, but it’s among the best outside of the cafe world. All in all it’s relieving to see a beautifully decorated restaurant that’s actually quite casual and affordable. I also saw some smaller items on their menu like chocolate croissants and croque monsieurs. So this definitely seems like an ideal spot for a break when you’re in the area, though not too casual for a lunch/dinner date/gathering neither.